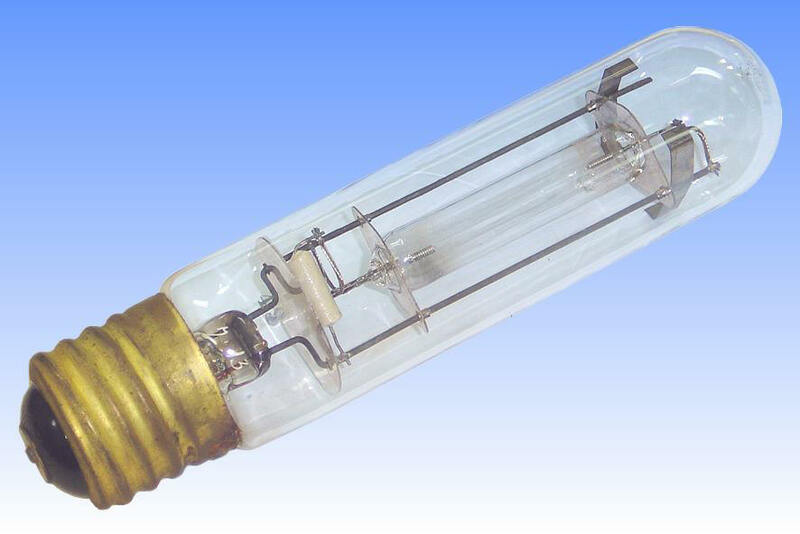 The first medium pressure mercury lamps to be made in the USA were essentially a direct copy of the original British Osram-GEC MA 400-watt design, both physically and electrically. In America it quickly became known as the H-1. However it soon became apparent that a lower wattage lamp would be desirable, and work progressed independently on both sides of the Atlantic. The European answer came in the form of a smaller 250W MA lamp. Owing to the relatively greater electrode losses with lower wattage lamps, it was less efficient than its 400W counterpart. Efficacy dropped from 40 to around 33 lm/W. 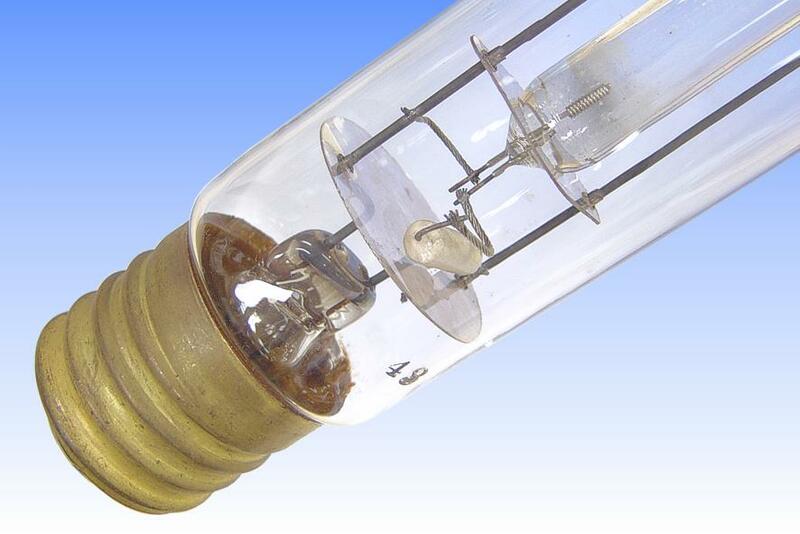 The American 250W developments took an unusual turn, resulting in the bare arc tube H-2 lamp. The efficacy of this design suffered still further, because of the lower mercury pressure resulting from the lack of an outer jacket. At best it attained 30 lm/W, only 50% better than comparable incandescent lamps. It was discontinued after a few years. 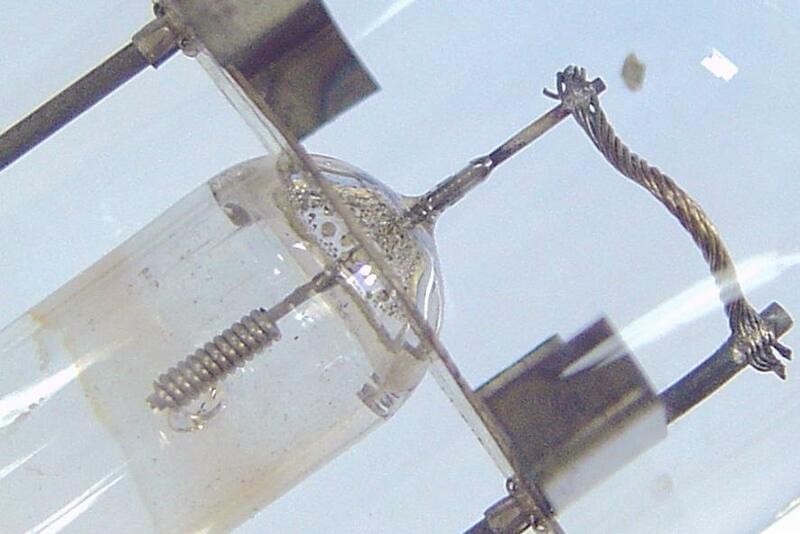 The Americans then focussed on the high efficiency quartz MB technology that had been developed in Europe to maximise the efficacy of still lower wattage mercury lamps. 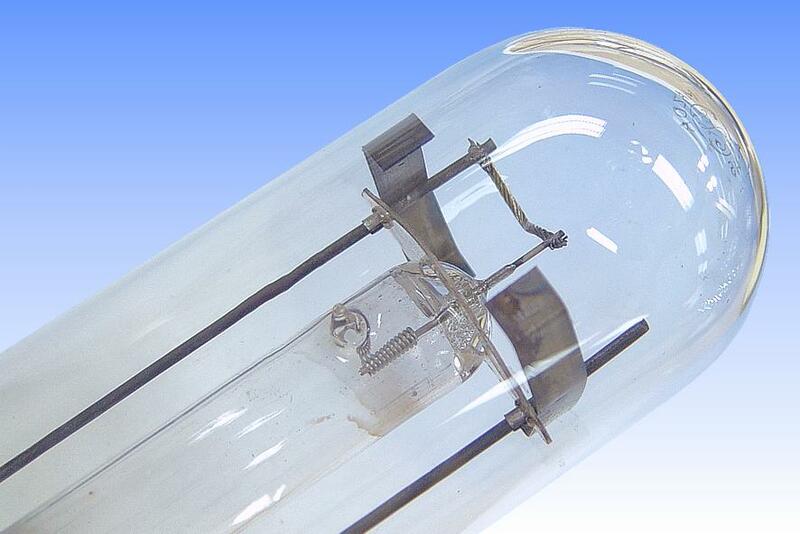 The result was this H-5 lamp, the first 250W quartz mercury lamp in the world. 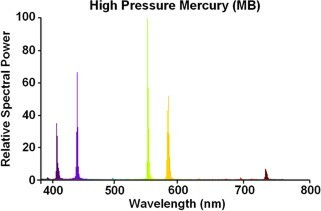 The mercury pressure was raised to 4 atmospheres, compensating for the loss of efficacy due to the lower rating. Consequently it was able to achieve a high efficacy of 40 lm/W, the same as the 400W MA or H-1 type. The arc tube seals employ graded glasses to seal the tungsten wires into the quartz arc tube. The electrodes are single coil thoriated types, and a third auxiliary electrode of a simple rod is sealed alongside one main electrode. 2) General Electric Mercury Lamps Brochure LS-103, February 1947. 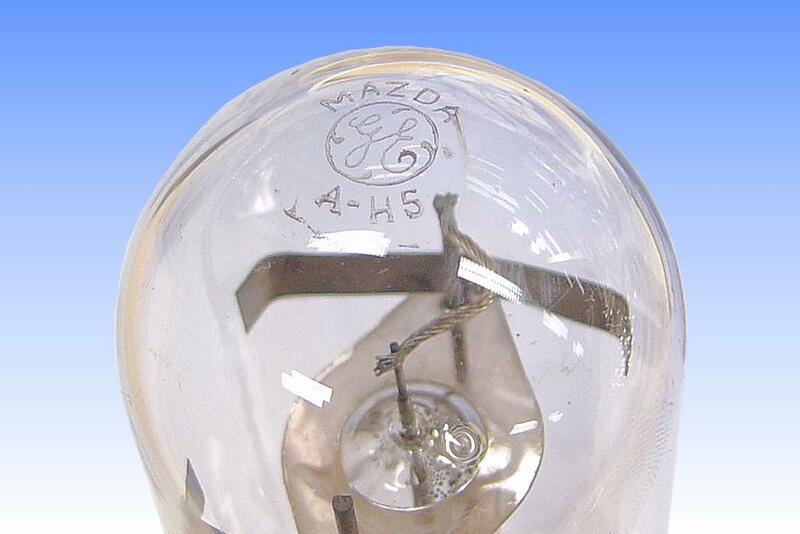 3) Mazda Lamps Bulletin LD-1, C.E. Weitz, General Electric, 1939.